If you’ve made it this far, I must have done something right. Thank you all for visiting Dads Drinking Bourbon and we hope that you enjoy this site. Zeke and I hope to make this a fun experience with all of you, as we know the bourbon/whiskey community is full of amazing people all sharing good times with each other. As we’re in a current bourbon bubble, so to speak, we want to take the opportunity to try new things and not just limit it to the bourbons that we all know are good. That also means trying and supporting a whole host of craft distilleries that are popping up all around the country. Granted, this also means we have to try and get our hands on those bourbons as well! We hope that you’ll join in on this journey with us and share a lot of fun along the way. 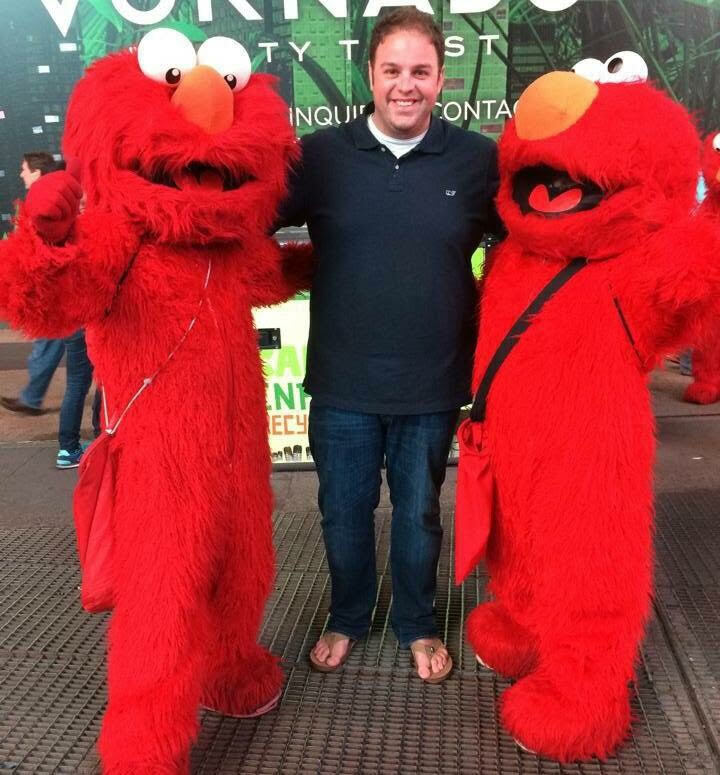 By the way, since I’m a dad of an amazing 10 month old daughter and all, I figured I’d post a picture of me with a couple of Elmos. Honestly, I can’t remember how two came into the picture, but I do remember haggling with them over the price after we took it.